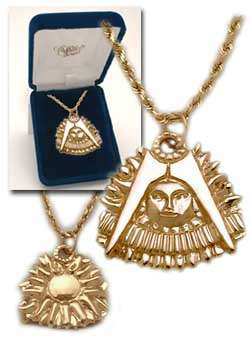 The Classic Past Master's Jewel in 14K Yellow Gold. The standard and accepted Past Master's design, a Blazing Sun surrounded by the Compass and Quadrant. 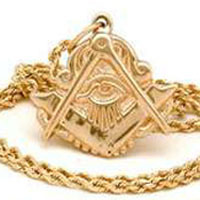 A symbol for a brother of the craft who has had the honor, and duty of presiding over his Masonic lodge. 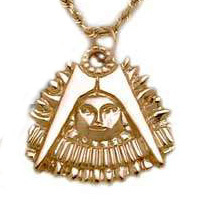 This is our largest pendant, at 1 3/8" wide and tall, it is also the heaviest, at about 21.5 grams.